A TINKERER'S delight arrived at the Evening Star Caravan Park in the car of traveller Geoff Herbet this week; the amateur radio enthusiast managed to set up a 40-metre antenna at the park to communicate with other travellers from all over. 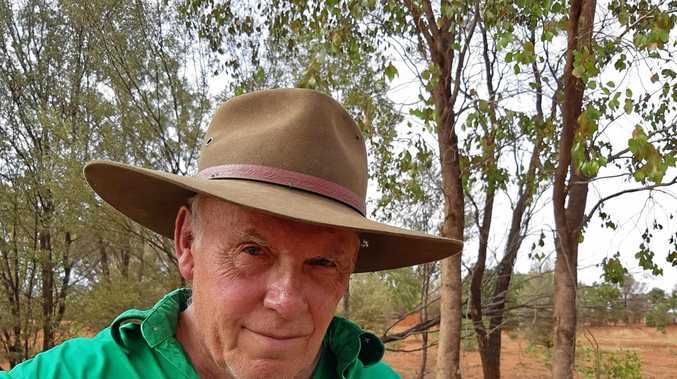 Herbert's HF radio has so far connected him to another radio junkie, who is camping 1100km away on the Murray River in Victoria, and on one clear night, he was able to chat with a contact from South Carolina, USA. The radio utilises a home made multiband antenna which allows Mr Herbert to operate on 40 meters and 80 metres. The antenna itself is 40 metres long and uses alligator clips to vary the electrical length, while the radio is capable of making contact with people worldwide, depending on conditions and sunspot activity. This form of radio has been used in times of emergency where other systems such as phone or internet fail. As a member of his local amateur radio club back in Victoria, Mr Herbert enjoys the company of other radio enthusiasts, and is also a licensed operator. Being a licensed amateur radio operator, requires study in electrical theory, a thorough knowledge of the regulations and exams to gain a licence.